There are a few things you should know before becoming a real estate agent. In hindsight, there are so many things I wish I had known before starting my career. Investopedia recently published a story about the day in the life of a Realtor. Let me walk you through what a Realtor does during the work day. We tend to administrative tasks. This ranges from answering e-mails to coordinating appointments to developing marketing plans for listings. We lead generate. Finding clients is crucial to our business. Often, we focus on a sphere of influence strategy to target new leads from people we already know, such as family, friends, and neighbors. We work with clients directly. We spend some time with them every day, whether it’s staging a home, e-mailing listings to potential buyers, or accompanying clients to inspections. We hold meetings and tours. We offer consultations in our office. We meet with clients and everyone involved with the process of buying a home. We learn new things all the time. We read books and check the news. We continue our education to pursue degrees and certifications. We study marketing and the industry as a whole. We constantly learn ways to improve our skill sets and strategies. Agents need to find a professional balance between administrative tasks and income-producing activities. Sometimes, this means long days in the office or in the field, meeting with or recruiting clients. That’s why there actually isn’t a typical day as a Realtor after all! We do so many things that it’s likely every work day is different. If you have any comments or questions, please feel free to reach out by phone or email! Today, we're here with part two of choosing a broker. You need to find out from a company if they offer a mentoring program. You want to make sure that they will put you with someone who will teach good habits. The best brokerages will have continuing sales education. You need someone who has a program who will really give you the techniques you need to make sales. If you can't find a company with a mentoring program, look outside the company to find coaches or other mentors. You also need to know the written policy of that company, and you need to know who you can reach if a problem arises. You want to look for a team that will support your success. Most new agents usually just need affirmation that they are doing something right, so it's important that you have someone to go to. If you have any questions, give me a call or send me an email. We look forward to hearing from you! So You've Graduated from Real Estate School - Now What? How do you choose a company to work for once you've finished real estate school? Today, we want to discuss the questions students ask us all the time! When you're going into the process of selecting a company to work with, you need to prepare to interview multiple companies; you need to see what's going on in the marketplace. Have questions set to ask at least five different companies during the interviews. This kind of proactive behavior is exactly what brokers are looking for in a great agent! One of the biggest mistakes people make is they go in wondering what their commission is going to be without thinking about anything else. If you don't have any actual training in real estate sales business, a 100% commission is 100% of nothing! You need to learn the business and know the industry in and out. Once you get the education to get a license, you need to learn to get the education of how to use that license! To do this, one of the best questions you can ask a broker is, "What type of educational opportunities will I have with your company?" Agents who end up doing the best are the ones who join a team with an excellent training program. Get a printout of what they're training so you know exactly what to expect! If you have any questions about the job finding process, don't hesitate to reach out to us. We would love to give you a hand! Why Is Now the Perfect Time to Begin Your Real Estate Career in Alabama? Today, we want to share some statistics we recently received from ACRE, the Alabama Center of Real Estate, which is part of the University of Alabama in Tuscaloosa. There is an amazing situation going on in the real estate sales market right now. In July of 2015, the number of sales in Alabama exceeded the same time period in 2007, with over 5,000 sales in July alone! That's an increase of almost 20% since last July. On a five-year moving average, that's a 40.2% increase! For those of you sitting on the fence, thinking about getting into the real estate business, we're not sure what else to tell you! We are currently in an awfully dynamic market. These conditions are occurring all across Alabama, so it doesn't matter what market you're in; if you have been waiting for a robust market to start or restart your real estate career, there is no better time! We still have historically low interest rates and the inventory is quite low. Despite a stagnant inventory, demand is through the roof! This means that we are heading toward a seller's market, which is the best type of market for people in the real estate business. It's exciting to see this kind of activity, especially after the long down period we experienced! If any of you have been thinking about getting into the real estate business, don't hesitate to reach out to us. We have a great market for new Realtors! We look forward to hearing from you soon! 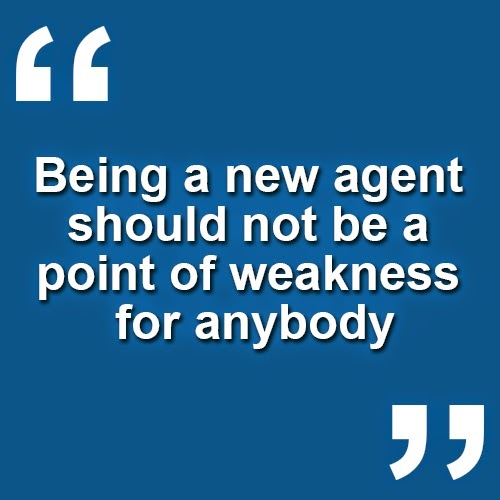 What Is the Most Important Thing a New Agent Needs to Do? Today we have Genny Williams back with us and we're going to be speaking about the most important part about being a new agent. Genny says that getting your database in order is the most important thing you can do, and that being a new agent should not be a point of weakness for anybody. Don't try to hide the fact that you're new to the business, but don't bring it up every 10 minutes. It's okay if you don't know everything you need to know, because you'll never know everything you need to. You want at least 150 people in your database, including phone numbers, email addresses, etc. Even if you don't have this information, that's okay, because then you can call them and get everything you need to know. If you'd like any more information about this, please don't hesitate to reply to the email I sent you and I will get back to you as soon as possible. We're continuing our interview with Genny Williams today, and we're going to be speaking about a question that often comes up when people decide to join the real estate business. We are often met with questions from people who want to know where they should work in the field of real estate. Choosing a good real estate team is important, and we have Genny here today to help us dissect this question. There are a lot of different opportunities out there, and you need to know what you're looking for. Finding a good fit for yourself is more important than choosing a place where you can make the most money. Some agents simply want a place to fit in, and some want a place where they can become the #1 agent in their city. One word of warning is that you should not choose a company that promises leads. You will always need to create your own leads. You will also want to have a great relationship with your broker, and find a place where your relationship with your broker will be comfortable for you. Some people want a mentor, and others just want to do their own work. 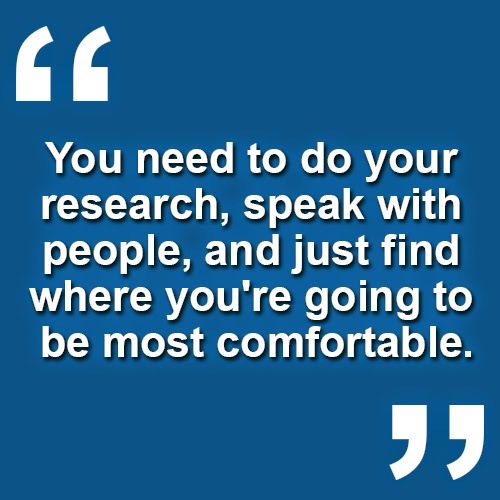 You need to do your research, speak with people, and just find where you're going to be most comfortable. If you need any other advice about this topic, please don't hesitate to contact me. I'm always here to help. Today, Fraser Sparkman joins us to share some important training information. We have some great information that we think agents and managers alike will find quite helpful. For those of you who are members of the National Association of Realtors, you should be aware of programs they offer called National Broker Summits. There will be three this year, with two on the West Coast and one on the East Coast. Fraser attended one last year and found it to be an informative presentation that allows agents to get information from brokers from across the country. We highly encourage you to go on the NAR website and investigate it, especially if you are an owner, manager, or broker. These kinds of events are a fantastic way to broaden your perspective of the industry. Nearly 70% of buyers feel that commuting costs are either very important or somewhat important as far as the location of their home relative to their workplace is concerned. Additionally, environmentally friendly homes are also starting to be more important to buyers, which is a very recent shift. Often, when people look at homes, choosing the right one comes down to the process of elimination. They start with a list of needs and prioritize them. As they look at homes, preferences that are of lower priority are eliminated from the list. However, roughly 30% of repeat buyers stick to their guns - they only want a home that meets all of their specifications. Despite the abundance of online real estate resources, 88% of buyers purchase their home through a real estate agent or broker. They appreciate the help they get finding the right home, they benefit from a greater understanding of the process, and they place a high importance on integrity and honesty. Additionally, 88% of sellers are also assisted by an agent, who they turn to for marketing help, selling quickly, pricing the home competitively, and providing service with integrity. In other words, agents still play an indispensable role in real estate transactions. If you're considering getting into the real estate business, you need to make yourself familiar with these trends. Having a complete understanding of how buyers and sellers think is the foundation to a successful career. Being informed about market trends will give you the ability to help buyers and sellers accomplish their real estate goals, and they will in turn refer you to family, friends, and acquaintances. If you would like more tips and helpful information to help you reach the next level in the industry, give us a call or shoot us a quick email. We would love to help you take your production to the next level! We're here again to discuss some more information that can be found in the National Association of Realtors Buyer's and Seller's report. For people who want to enter the real estate industry, this report is really the meat and potatoes of what they need to know to get involved. We're going to summarize some of the more important parts of this report for you. More and more people aged 25-34 are living with their parents, and 57 million Americans were living in multi-generational households in 2012, which is double the number from 1980. Agents are proving to be more and more valuable with people who have underwater properties. We're seeing more and more agents lending hands to people in uncomfortable situations brought on by the market crash. An interesting statistic that's revealed in the report is what is forcing people to move into new homes. It seems that life changes like marriages, retirement, or having children are forcing people to move. Less people are moving out of homes because of career changes or because of a home simply becoming too small to for their needs. The number of people living in apartments has dramatically increased in recent years, and these people will create a lot of pent-up demand. 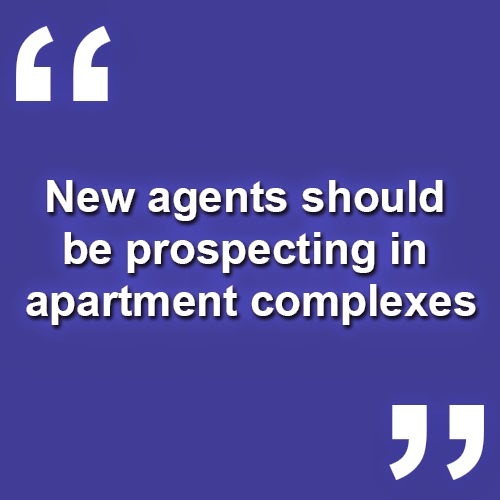 New agents should be prospecting in apartment complexes, because we believe that this demographic will create a huge amount of demand for homes in the future. The type of homes that people are buying can tell us a lot about real estate as well. 84% of buyers have previously owned homes, and 50% of these homes are located in the suburbs. On average, these properties have 3 beds/ 2 baths, 1,870 sq. feet, were built in 1993, and are located only 12 miles from the previous residence of the buyers. Studies also show that 79% of buyers want a detached single-family home. Hopefully this information has been helpful to you. We recommend taking this information and using it as a prospecting tool. If you have any further questions about this report, please don't hesitate to contact us and ask about it. Today we wanted to share some highlights from a report done by the National Association of Realtors. We've always thought the most important part about real estate is knowing your buyers and sellers very well, and this report goes into detail about their behaviors and activities. The study revealed that 67% of sales were for primary homes, with 13% of sales going to vacation homes and 20% of sales for real estate investment. The survey also revealed that while interest rates are going down, the average household income is increasing. 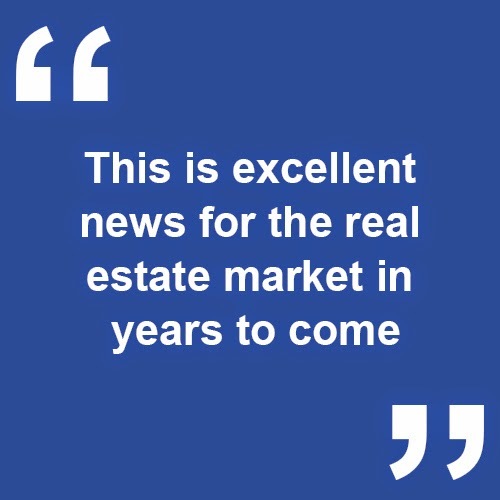 This is excellent news for the real estate market in years to come. Ownership rates for people under 40 years of age have been dropping, and continues to do so. It's decreased from 50% to 33%, but we expect that this will only create a lot of pent-up demand in years to come because rent prices are often higher than a monthly mortgage. Furthermore, 73% of buyers think getting a mortgage would be impossible under current conditions. We see this as an opportunity for agents to educate people about how truly easy it is to qualify for a home loan. Multi-generational households seem to be forming more frequently as well, with children moving and grandparents as well. Quite frankly, there is too much information in this report to discuss in one video, so we invite you to join us again in the future where we will divulge even more information to you. In the meantime, click here to read the entire report. Thanks for tuning in again. Please contact us if you have any questions for us in regards to this report. We would be pleased to discuss it with you! How Does Affordability Affect Your Ability to Prospect? Hello, and welcome back to our blog! Today, we continue our discussion on the many positive trends we've seen in real estate lately. Recently, Fannie Mae and Freddie Mac cut their minimum down payment to 3%! That's in line with what FHA has been charging, which goes to show how much easier it is for homeowners to obtain financing today. If you're thinking about getting into real estate, this means there are more qualified prospects than ever! According to MSNBC, around 30% of housing units are rented. That's approximately 41 million people who are currently renting, which is a massive pool of prospects if you're an agent. For instance, around 18 million of those renters want to buy a home, but don't realize this lower down payment will help them afford one. 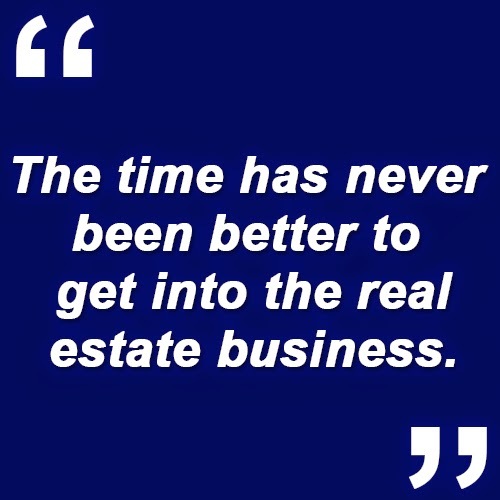 The time has never been better to get into the real estate business. Recently, 30-year fixed rate mortgages dropped from 3.77% to 3.6%. Additionally, rates for adjusted mortgages have dropped to 3.04%! Conditions for affordable financing simply can't get much better! It's time to get off the fence if you've been considering a career in real estate - there are a whole lot of prospects out there who need your help! If you have any questions about these fantastic conditions, or would like help getting into the industry, give us a call or shoot us an email! We would love to hear from you! "I took the class and got an 88% on the first try. Overall, she’s a great person. Easy to work with, and always available. I would call her with a question, and each time she called back within an hour. It was very impressive that you could call the instructor herself and she would call you back! I thought the customer service was nice and solid." Today, we have some great news from the lending world to share with you! If you are looking to get into the real estate business, one of the things to keep an eye on is affordable financing for young home buyers. Recently, several things have come together that have made buying a home more affordable than ever! Recently, the Federal Housing Administration has lowered insurance premiums from 1.35% to 0.85%. Back in the day, those premiums ran as high as 5%! In addition to incredibly low premiums, the minimum down payment on an FHA loan is only 3%! 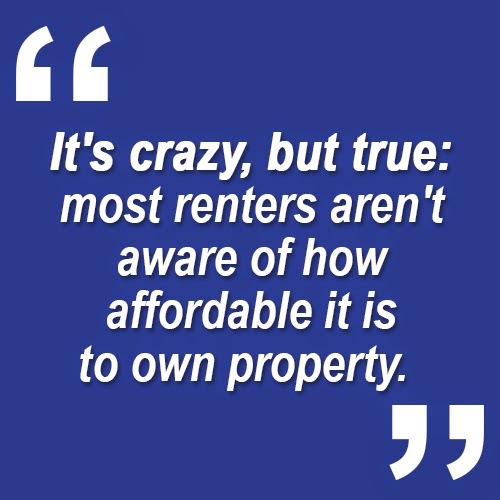 It's crazy, but true: most renters aren't aware of how affordable it is to own property. If you're an agent who's just getting started, a great way to find prospective buyers would be to go to apartment complexes and knock on doors. Spreading the word about these programs, which are designed to make purchasing a home affordable, could be profitable. A simple example is all it takes to see the savings. Right now, on a $200,000 30-year FHA loan, the insurance premium is only $83 a month. Over the life of a loan, that's a savings of over $20,000! It's affordable up front because the down payment is so low, and you have lower monthly payments. Combine these factors with unbelievably low interest rates, and home ownership starts to look a whole lot more affordable! If you're on the fence about getting into real estate, you can't afford to wait much longer. This year is going to be a fantastic one for real estate, as millennials and other first-time buyers will be coming to the market in droves. If you want to take advantage of these fantastic market conditions to prospect, or need other help in your real estate career, don't hesitate to give us a call or shoot us a quick email. We would love to hear from you!